Bleach 518 is now available! up next, the Zero Quad or Zero Division has arrived in Soul Society. But there visit is just short. They don’t have other business other than retrieving the Shinigamis who are in their list, including Ichigo’s Tensa Zangetsu. According to the leader of the Zero Quad, Ichigo is included but for a different purpose. What could Ichigo’s purpose be? What could be the thing that Ichigo will be entrusted with? Find out in Bleach chapter 518. UPDATE: Bleach 518 is now available. This chapter is entitled The Shooting Star Project (ZERO MIX). Hmmm that’s odd. Image credit: Original artist Tite Kubo, colored by Deviant artist Fanklor. The Zero Division finally arrived. They look like a bunch of goofy people but clearly they are even faster, stronger and more capable than the captains of Gotei 13. The fat Shinigami is “Kokuou”, “King of Cereals” Kirio Hikifune. Judging from Hiyori’s reaction, Kirio might be slim or thin when the last time they saw each other. There’s the guy that look like the character from Yuyuhakusho that has a personality like a Yanke. Bonze (there leader if I am not mistaken) looks like a cheerful character. And there’s Senshumaru Shutura a.k.a “Ooorigami” Guardian of Weaving. It looks like she’s the previous head of the R&D division. She’s more skillful than Mayuri. Kubo forgot to properly introduce the guy that looks like from Yuyu Hakusho, the guy with an Afro hair was not shown in the previous chapter, and the Zero Division’s leader. Most probably Renji, Byakuya, Rukia and even Tensa Zangetsu will be healed in the Palace of the King of Souls. According to Bonze, Ichigo is included in the list because there is a special reason or purpose for him. What could be the thing that will be entrusted to him? Wild guess and my prediction? The thing that Ichigo would be entrusted to him is to protect Soul Society and defeat Juha Bach and his Vandenriech. Another theory is that the King of Souls would give Ichigo new powers in order for him to fight Juha Bach. His past and real identity might also be revealed in the following chapter. I was also thinking that Ichigo would be appointed as a permanent division captain or even the new captain commander but that’s just far out right now. I’m sure Ichigo’s role is far greater than that. He usually is the epicenter in the whole Bleach world. Bleach 518 spoiler is not yet available. Usually it will be released one day before the chapter is released. I will update this post once Bleach 518 spoiler is released or when Bleach chapter 518 is released. Stay tuned! By the way, what do you think will the King of Souls look like? Would he look like a serious guy or a more interesting looking character than the Zero Division, or just a plain light figure with a voice? 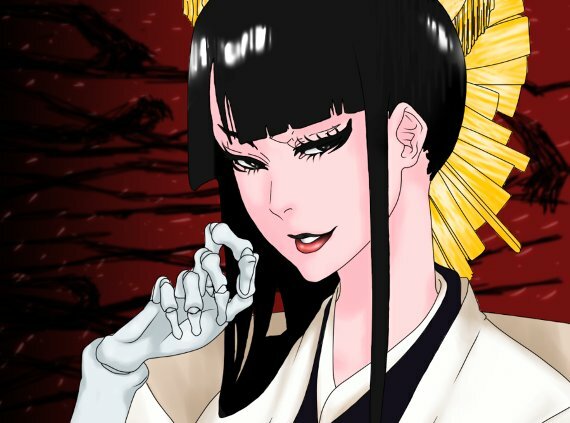 Kirio Hikifune or Rangiku Matsumoto: Who Do You Think is Hotter? !